To comply with my non-disclosure agreement, I have omitted and obfuscated confidential information in this case study. 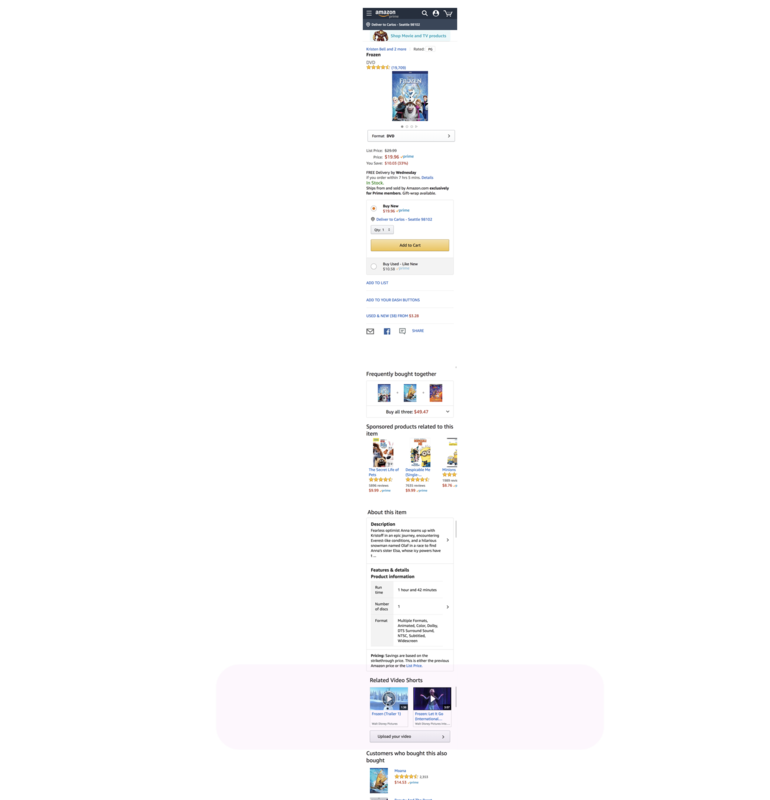 All information in this case study is my own and does not necessarily reflect the views of Amazon. New mobile lightbox widget to increase the number of video views. This lightbox serves as a tool to browse, view and discover video content within amazon.com. Both, desktop and mobile versions are available for these purposes. The following design case focuses on the redesign of the mobile version. The lightbox control will be used to surface buying guides, recommendations, how-to, product demos, unboxing, and product reviews. Friction-free browsing through video content. Customers seem not to engage watching videos within the lightbox control. The tendency is to watch one video and to leave the lightbox without watching the other related videos presented. My hypothesis for the lack of engagement is based on the horizontal navigation for the related videos within the lightbox. 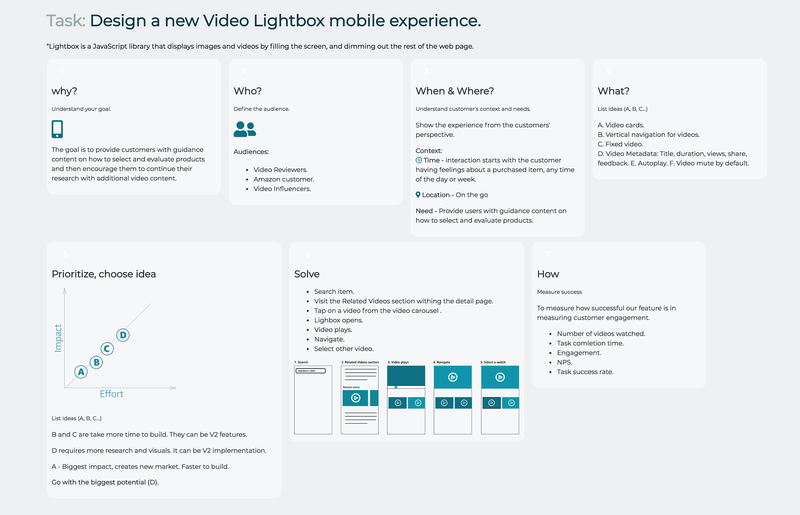 In the former lightbox experience, customers click through to a lightbox page that shows a single video player at the top and a horizontal carousel of video thumbnails below. The lack of visibility of the rest of the video options decreased the level of engagement. 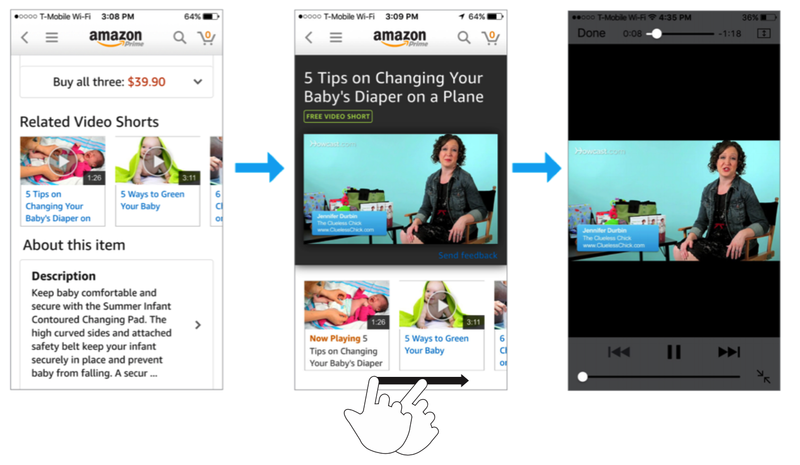 Also, the uncommon pattern used for this navigation influenced customers to leave the screen after watching a video. Original mobile lightbox. Horizontal navigation. How can we encourage more Product Related Video views? Within the detail page of a product on the page, there is a section where videos related to the product are show. The section is called "Related Video Shorts." These videos can influence others about the benefits and disbenefits of the product. These videos are located within the Product detail page. Tapping on one of the videos, the Lightbox opens to show the selected video. The next step involves conducting a competitive analysis of other apps that allow users to watch videos via mobile. I look for positive and negative application behavior. I don’t want to reinvent the wheel, so analyzing features and interactions from other apps will help me to make better decisions during the ideation process. I have analyzed the following apps based on user feedback: Facebook and Youtube. Both apps use the vertical navigation. 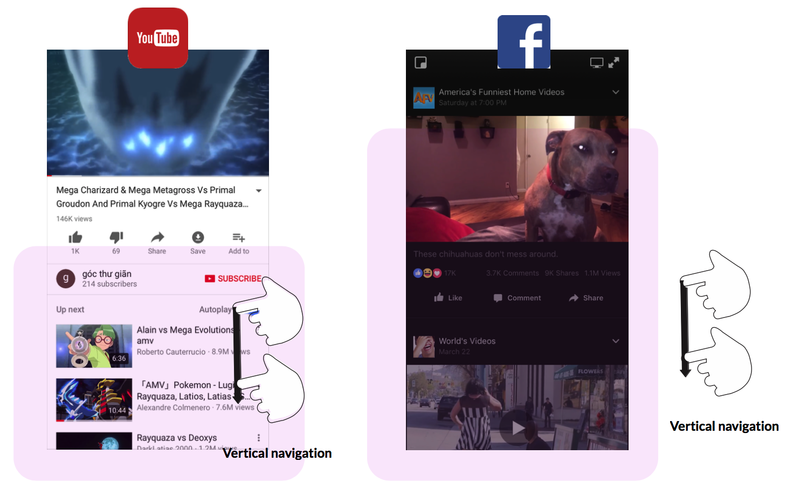 The most common pattern used in other video platforms provide vertical navigation when browsing videos. Finally, an app definition statement will help me to identify what features I think users might like to have to make the viewing and navigation simpler and more efficient. After a few sketches and quick wireframing, I felt ready to switch from paper and pencil to Sketch. Sketch will help me to create the flow and I will Include only what is required to render the intended purpose or concept that I am planning to deliver. The following Wireframes show the different ideas proposed to my pm for the different lightbox experiences. Axure proved to be the best tool of choice for prototyping. Because of tight timelines, I chose to develop a high‐fidelity prototype which had both benefits and drawbacks. On a positive note, the prototype was a powerful tool in creating transparency in the design process. My what you see is what you get approach strengthened my relationship with leadership and allowed me to gain feedback and approval from both my stakeholders and development team early on. Scroll down (within the phone) to the Related Video Shorts section to start the lightbox experience. 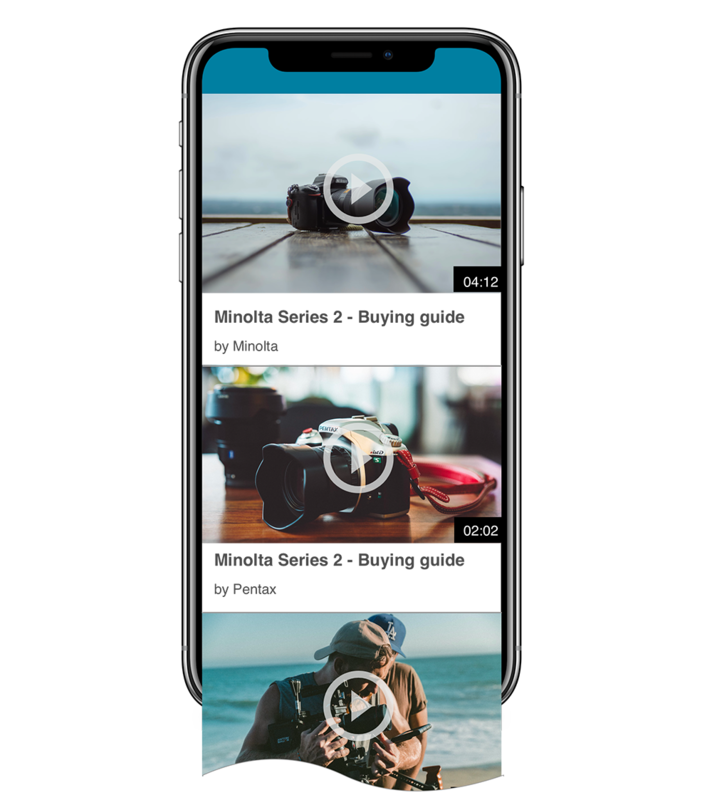 As mentioned before, the goal of this project was to engage users to watch videos related to products. Thus, based on the user feedback, designing a player that stays in the top position of the screen while playing consisted of a requirement for the experience. Many participants mentioned the desire of being able to watch a video, without any interruption, while scrolling up and down within the screen. Users can view the video in full screen tapping on the video player. 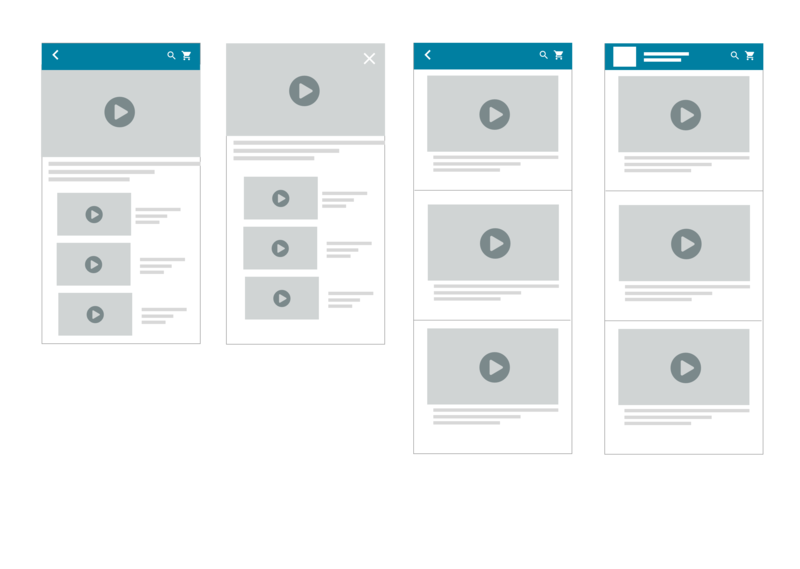 Another design requirement states that the video auto-plays on page load. The mute mode is on by default. Another characteristic of the experience consists of making sure that users have a clear idea of what video is playing at the time. As a result, adding a border with a determinate color helps customers to identify the current video playing. Feedback regarding what metadata to show to support the video thumbnail was necessary for the final delivery. Design how your app feels, not just how it looks. During the process of completing this project, I started to get more interested in Framer. The learning curve is big. However, the results are amazing! The following artifact shows my first work using Framer for prototyping. Due to the time constraint of the project, I decided to use Axure RP as the main prototyping tool for the deliverables. From the beginning of the project, I was focusing my work trying to understand the necessities of our customers. We conducted several Guerrilla tests to gather data regarding how users navigate and search for videos. The feedback obtained helped us decide between the different concepts that I was proposing. The two final concepts, based on video navigation, were the "Card" design and the "Fixed" design. Four of the five participants indicated the preference of navigate through the videos while watching the video located at the top of the screen. 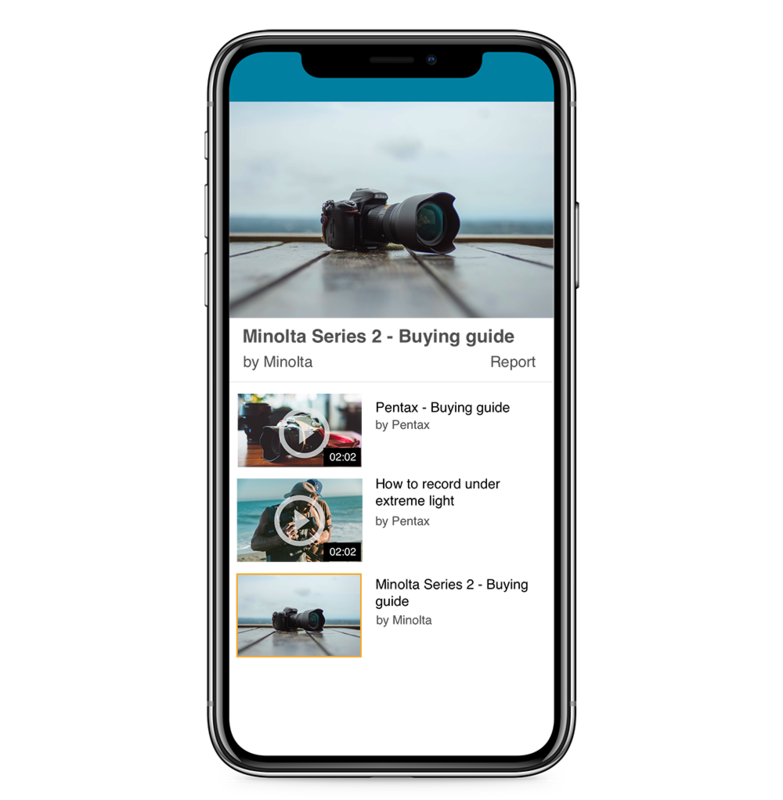 This model allows users to be able to watch any selected video while the vertical navigation let them browse other media content without interrupting the viewing experience. Based on the user feedback obtained during the sessions, I proposed to leadership to move forward with the "Fixed" model. With this test, I replaced the current lightbox with a vertically-scrolling list of video cards. When the lightbox first loads, for each item, I show a video card with a thumbnail image (inline autoplay). 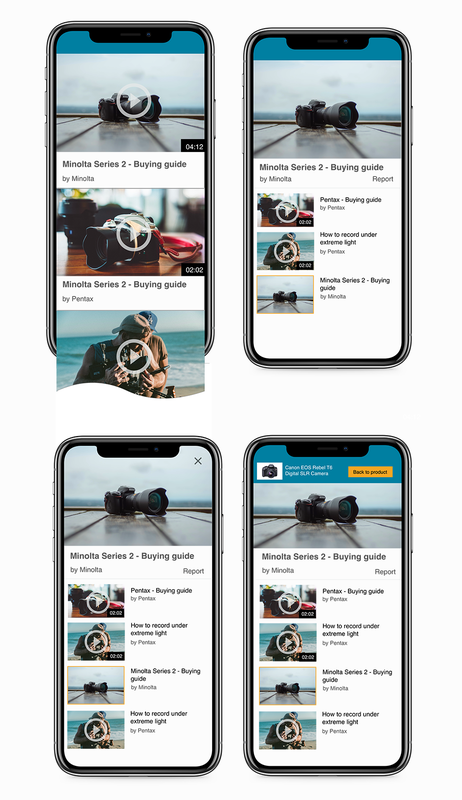 When a user clicks on a thumbnail image, the image swaps for the video player instance, and then let the player take over and bring the user into full screen mode. "Card" prototype used during testing. "Fixed" prototype used during testing. In order to obtain more accurate feedback from users, I uploaded the Axure RP files to a server. As a result, I was able to access the prototype from a mobile device providing a very realistic experience to the participants when testing. 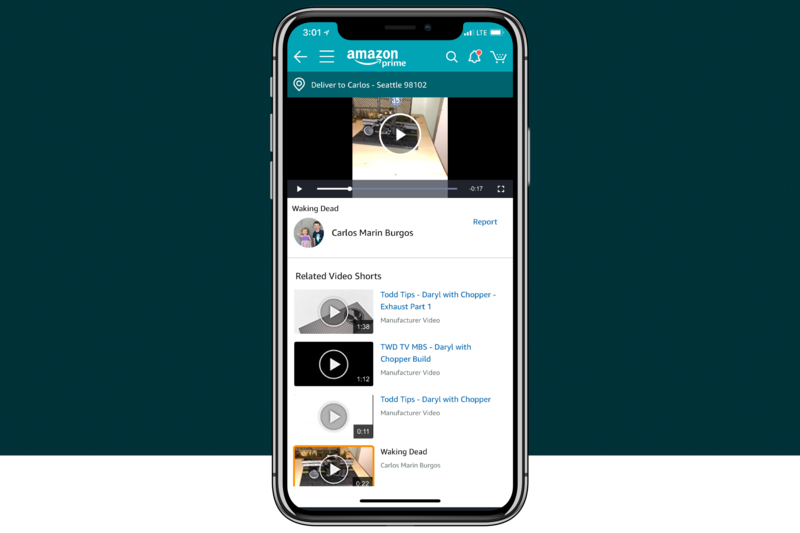 The redesign of the lightbox on iOS and Android has had a positive impact on the video viewing experience. The video engaging rate has been significantly increased which means customers continue to watch videos on mobile. The design process for the mobile lightbox continues evolving. Many missing features were eliminated from the original design proposal due to time and technical constraints. Our team was quick to jump to the perceivably easy solution to design a new mobile lightbox. I fought against this proposal, based on the rationale that eliminating some important features would affect the levels of engagement. One feature that I thought it was mandatory for users consisted of being able to provide and browse video feedback. What is the point of presenting a variety of videos without a reference to the quality of the videos? Remember that the whole goal of this project consists of providing guidance when purchasing an item via videos. How can users know what videos are helpful? At the time of launch, I had difficulty accepting the reality of this new experience, because I knew where all the dead bodies were hidden. I knew which critical features were missing. My dissatisfaction is not a case of perfectionism, but rather an insistence on quality. Quality that should never be compromised, even in the first version of a product. Quality is the responsibility of an entire organization and I have learned that awesome experiences are only possible if the whole team truly shares the same values and aspirations. Jeff Bezos’ famous saying at Amazon is that “it’s still day‐one”. For Video Shopping Experience, this could not be truer.